If you are out and about in Billericay town centre on a Friday or Saturday night you may have noticed a group of people dressed in a blue uniforms keeping an eye out for those enjoying a night out. This group of volunteers from across the churches in the town are none other than Billericay Street Pastors. At Revival Church Billericay we share the heart of other churches in our town to be positive agents for change in the community which is why we not only support Billericay Street Pastors financially and in prayer but also have a number of our church serving as Street Pastors. It was pioneered in London in January 2003 by Rev Les Isaac, Director of the Ascension Trust, and has seen some remarkable results, including drops in crime in areas where teams have been working. There are now some 12,000 trained volunteers in over 270 teams around the United Kingdom. Each city or town project is set up by Ascension Trust and run by a local coordinator with support from Ascension Trust and local churches and community groups, in partnership with Police, Council and other statutory agencies. Billericay may not have the same problems that some larger towns do of the late night fall-out from night clubs but there is still an evident need for the caring and the attentive presence of Street Pastors as part of our town’s vibrant night life. Billericay Street Pastors is a Churches Together in Billericay initiative and is headed up by Phil Norton who is part of Revival Church Billericay. 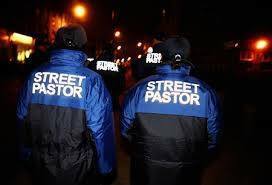 To find out more about Street Pastors or if you’re interested in finding out how you become one, contact Phil Norton.